Nobody wants a flooded basement but many people ignore the maintenance of their sump pump system. Check the system regularly, make sure it is plugged in, and ensure you have a source of backup power in case of an emergency. Contact a plumber for installation to avoid sewer backup. Test drains in garages, bathrooms and basements by pouring water into them. If they’re not draining quickly, use a line snake to clear debris or call a plumber for service. Test culverts, gutters and downspouts too to be sure they are open and clear of debris so that water is channeled away from the foundation. Check your hot water tank for signs of wear. If you suspect a leak, contact the supplier to see if the guarantee is still in force. You may have to replace it if the tank has reached its 10‐year maximum service life. Keep the tracks of your windows clean and free of debris so that water can drain away properly. 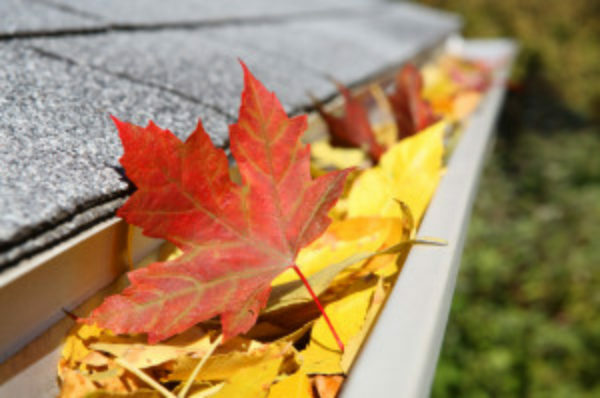 Make sure your roof is in good condition too. Water can easily seep in through damaged or dislodged roof coverings. If your property has exterior stucco siding, do a quick visual inspection. Should you find any cracks 1/8″ wide or larger, have them repaired by a professional as this may affect water tightness. Inspect foundation and basement walls for cracks. Watermarks near cracks could be signs of recent leaks and future risk. Use concrete patch to repair cracks or consult an expert. Install downspout extensions to drain water at least six feet away from the foundation. Check hoses and hose connections on your dishwasher, refrigerator, sinks, etc. at least once a year for brittleness or corrosion and replace immediately if any defects are found. Replace both hot and cold washing machine hoses every 5 to 7 years, even if they appear to be in good condition. Consider installing heavy duty stainless steel braided hoses with auto‐shutoff connectors.